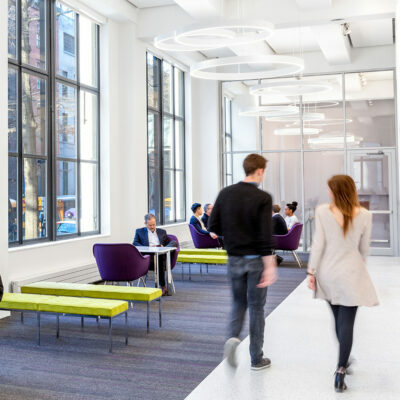 The reorganization of the four separate buildings of the Juliana Terian Design Center creates a collaborative, interdisciplinary environment for the new School of Design. 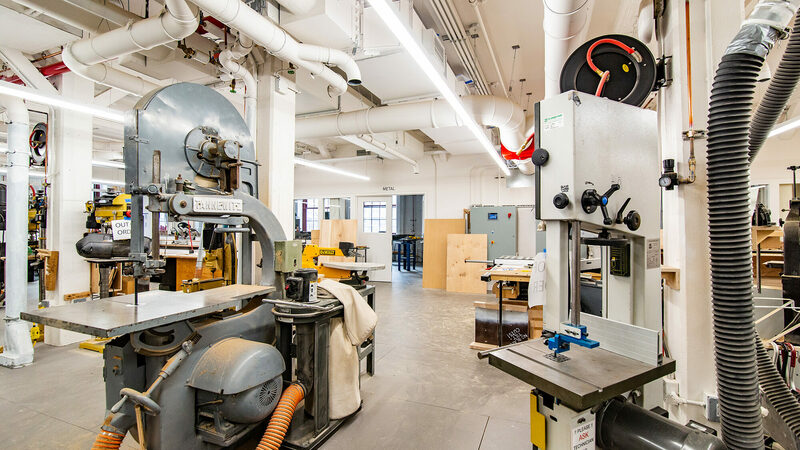 Ground floor shared workshops and student lounge are central meeting spaces for students and faculty from all departments of the School of Design. 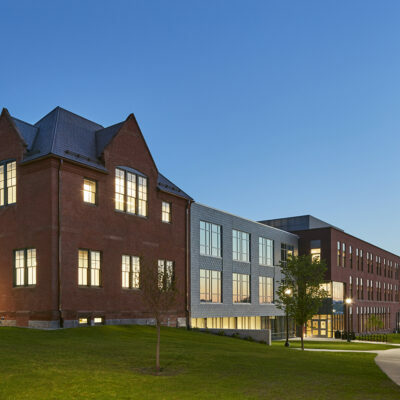 New connections between buildings foster community on shared floors. 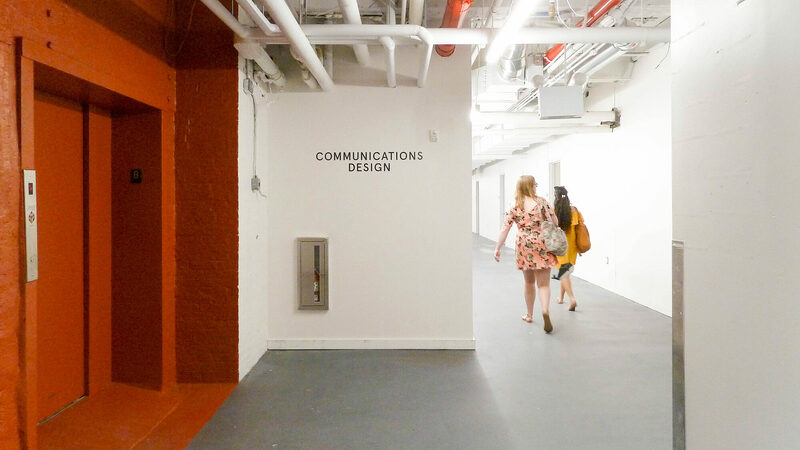 A new circulation loop, linked to new elevator service cores, encourages interaction. 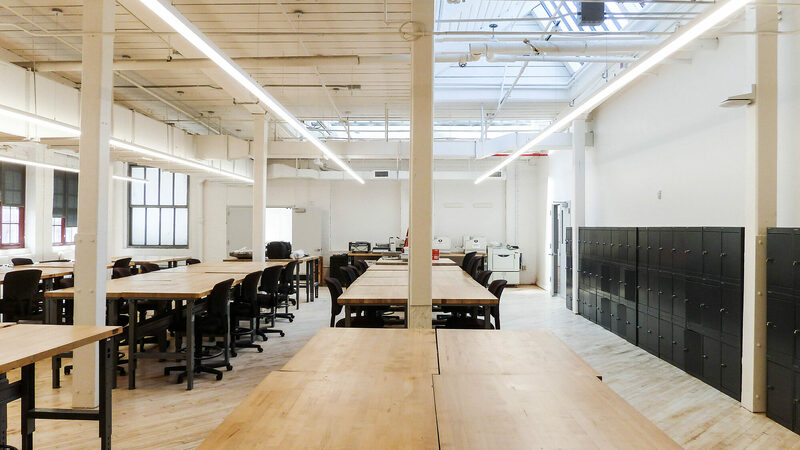 Large shared studios provide flexible pin-up and work space. 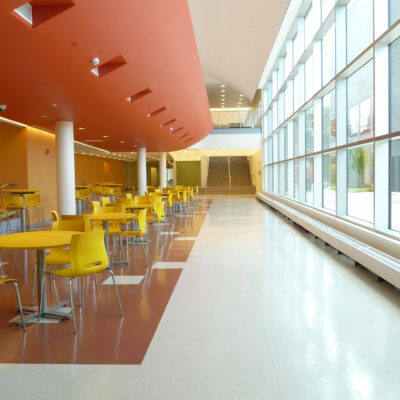 The first phases of construction, completed over the summer break, brought Communication Design graduate students into the Design Center, created a ground floor student lounge and shared workshops, and began the process of linking the buildings.